Elena Frolova. Executive Director, Performing Arts Program. 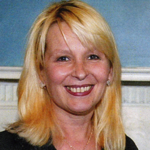 One of the founders, Ms. Frolova has over 25 years of experience working with kids. Her skills are in the area of Youth development, event production, strategic planning, office administration, and writing especially about dance. She chose to work with kids in the “Youth Center” back in Moscow in 1982. Being a Ballroom dancer since childhood, she taught kids how to dance and worked on international level through organizing shows and festivals as a part of a cultural exchange for kids from Moscow and Poland, Bulgaria, Sri-Lanka, Japan back in 1988-1993. Member of Dance Counsil of America. Olga Lavrova. Co-Director, Little Kids Workshop Program. Graduated the Institute of Culture in Moscow, Russia in 1992, majoring as a Teacher-Choreographer of Folk-Dance; also graduated Ballet School of Krasnoyarsk, Russia majoring as a Ballet Actress. Olga worked as a leading dancer in numerous Russian companies, and went on a tour to Bulgaria with a show "Rhythms of the Century" from 1995-1996. Additional skills include Event Planning and Production, as a dance choreographer she is very active in cultural life of community. Proud mother of two, she works in a day-care center, and created her own program for little kids. Daria Biassonova. Music & Singing Program. 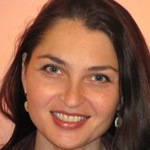 Ms. Biassonova is a graduate of Vitebsk State Musical College, Belarus, in 1997. Working as a musical teacher with great results: her students are laureate musical competition. Also dedicating her time to work with children who require a special aid, realized an individual approach to their special needs. Had the concert tours in Poland, Germany, France, & Spain. Her additional skills include Event Production and Networking.